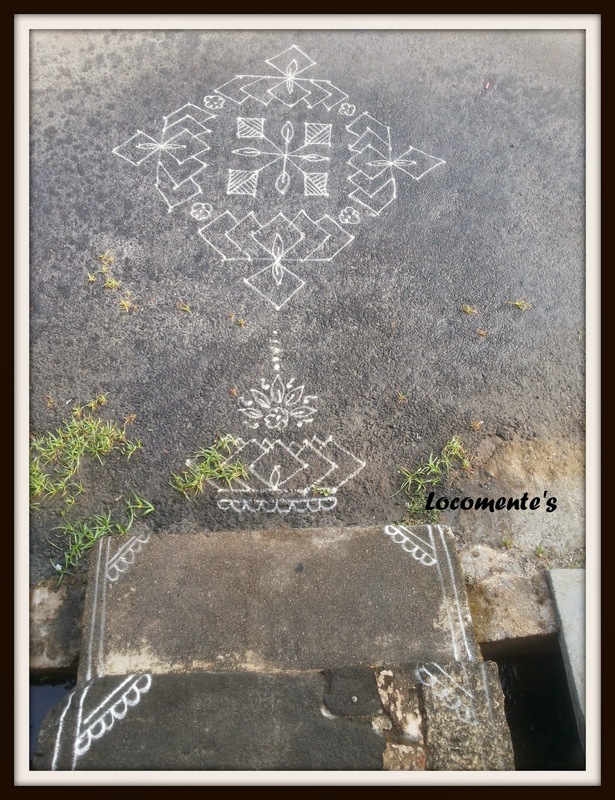 Needless to say, pottu kolam always makes me nervous. And here is one of my nervous streaks! Your nervous streak brought something really beautiful out. That is so pretty.. 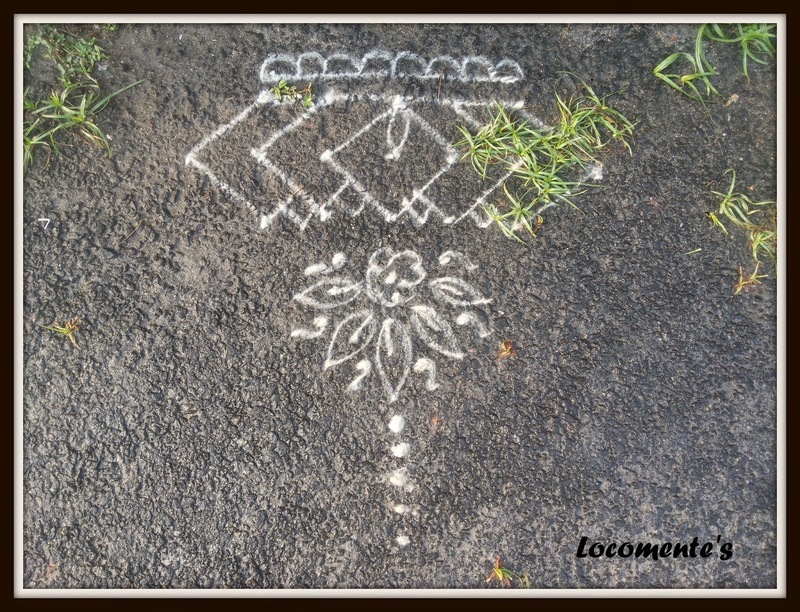 I never knew it was called Kolam, we call it rangoli here.. Or is it different than rangoli ? Ritika... rangoli is different. In rangoli, the patterns are filled with different colours. 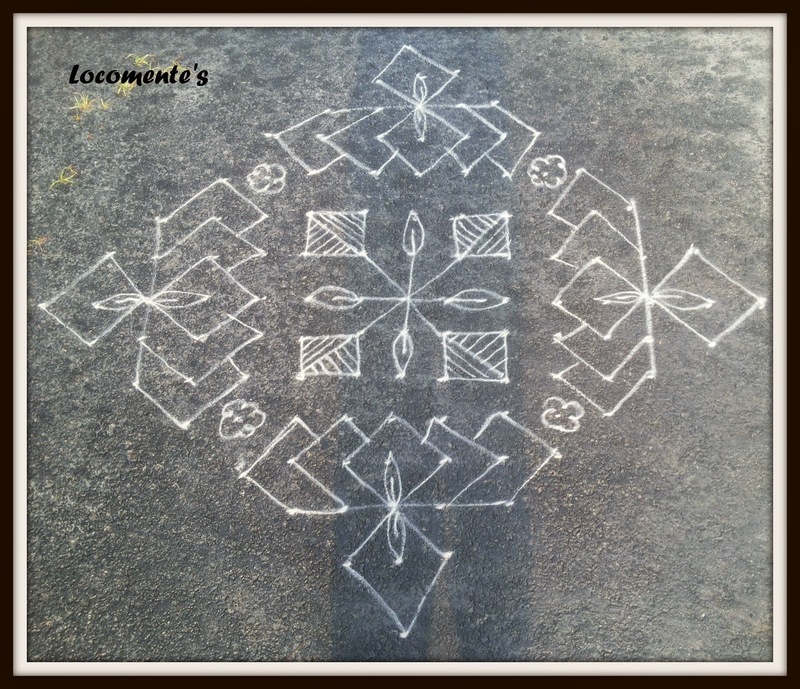 Whereas kolam is drawn using rice powder.